Arraigned on Monday, James Taylor, 75, is accused of shooting Catherine Taylor, 70, at her son's home, following a domestic dispute two days prior over vehicles. Police were called to the disturbance to try and resolve the dispute, but Catherine moved into her son's home nearby to get away from the ex-husband. According to CTPost, the victim admitted she was tracking James Taylor's location by using the Find my iPhone app on her iPad, which gave the position of James' iPhone. 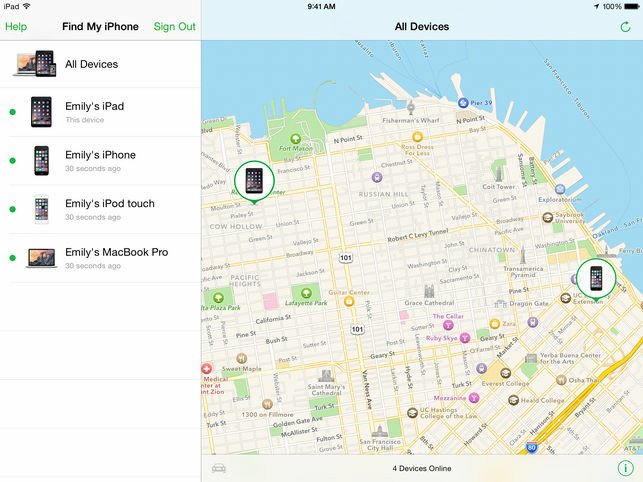 The app was being used as the iPhone was on a shared family plan with their carrier, with the initial aim of using it to track down a missing vehicle. On Sunday night, Catherine discovered the app was reporting the iPhone as moving around the son's home where she was occupied, prompting her to ask her son to call the police. Shortly after the discovery in the app, the son heard glass shattering followed by screaming and a gunshot. Police say the son then discovered James Taylor holding a rifle and standing over Catherine, who was bloody and motionless. It is reported James attempted to reload the rifle and point it at his stepson, but he was tackled and struck multiple times in self-defense, while at the same time calling for the police. Members of law enforcement found the stepson pinning Taylor to the floor on their arrival. Taylor has been charged with murder, home invasion, attempted murder, first-degree burglary, illegal discharge of a firearm, and third-degree assault. Arraigned on Monday, Taylor's bond has been set at $2 million, with the case set to continue on February 19. While not intended for monitoring individuals in this way, Find my iPhone has proven to be useful in a number of incidents. In January, it was used to track down a woman abducted from a bar in Boston, while in August, two teenagers helped foil a carjacker by telling police where an iPhone left in the vehicle had been taken.